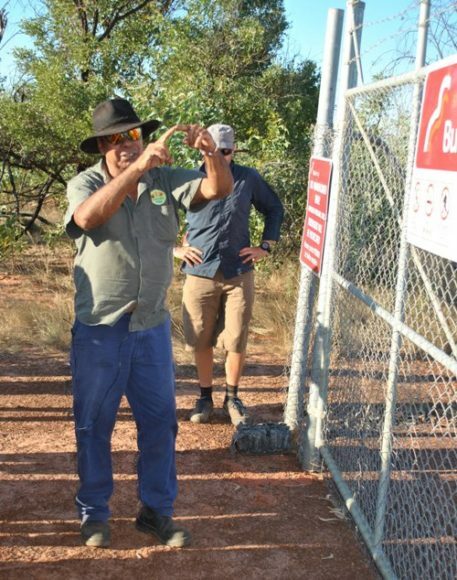 Dr Christine Allen joined the travelers from across Australia to explore the Kimberley with the Traditional Custodians and she shares her very unique experience with us. Christine is the Secretary of the Murdoch Branch. In late July, I joined a group of 24 travellers from across Australia to explore the Kimberley for a week. 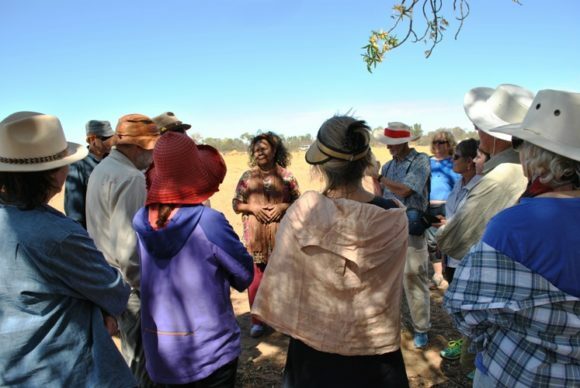 But this wasn’t any tourist trip, we were meeting and staying with Traditional Custodians to hear their stories and understand their fight for land. And what an eye- opening trip it was! We all met in Broome and started the trip by exploring Roebuck Bay with Bart Pigram. We tried our hand at collecting oysters just like Bart’s family has done for many thousands of years. Bart also showed us an ancient waterhole and meeting place for tribes around the region. This water hole was on an rise surrounded by salt flats with samphire and there were old conch shells which were used to collect the water. Collecting Oysters at the Roebuck Bay. We headed north-east to meet Dr. Anne Poelina who is a leader in the Nyikina Mangala country, campaigning and educating people all over the world about her connection to the Fitzroy River (Mardowarra). We stayed with Anne and husband Ian and her sister Jeannie at their cultural hub Madjulla. Anne was an amazing story teller and could interweave science and ancestral stories so effectively; we all sat in awe as she explained her deep connection to land. “My liyan is my moral compass, is the ‘feeling’ which helps me to navigate my movements on country and it helps me to read people and determines my relationship with them. This ‘feeling or liyan’ is deeply personal and guides my life journey with human and non-human beings; the plants, the trees the birds and other animals.” Dr. Anne Poelina, Blood Line Song Line Pt2, Great Australian Story, August 2016. 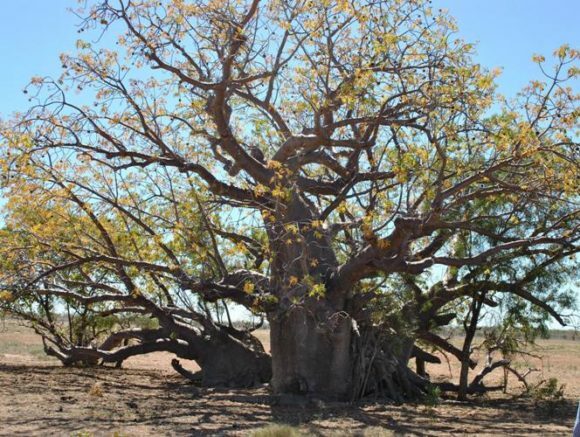 We visited a very old boab tree, which is an important and calming place for Anne and her family. Jeannie showed us how to crack open boab seeds and eat them (a texture like honeycomb without the sweetness!) Anne explained her connection to place “like feeling energy, living in the past, present and future in the one moment” which was very intriguing concept for me. We continued to the river side, where she pointed out the Majala (freshwater mangrove), that has a very high morphine content and her family and community used the bark for toothaches and injuries She also told very sad stories about how her family had been used as slaves by pastoralists in years gone by and there are current pressures on her land, including an plan for the Fitzroy to become part of a food bowl of Northern Australia. “Farming in savannah country is very different to farming in the south” Anne said and used the Murray Darling Basin as an example of extreme degradation from years of mismanagement. It was tough to hear how Micklo is being continually been challenged by the Local Council and Fracking companies. Micklo has a strong spirit and won’t give up until his land is safe again. Micklo at the fracking well. Finally, we visited James Price Point, where local Broome people and Traditional Custodians fought for many years to stop gas development. We camped where a 300-strong group lived over many months in 2012 and 2013 to protest the development. 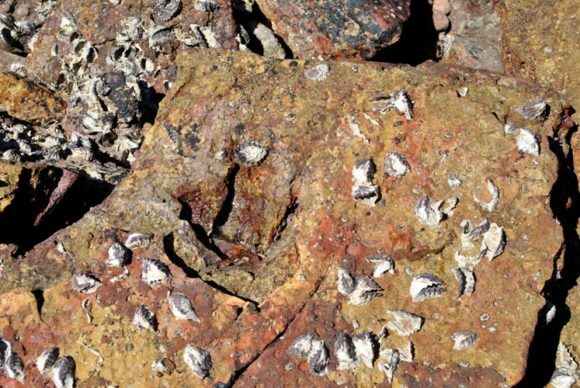 One of the Traditional custodians, Phil Roe took us out at low tide to see the dinosaur foot prints. As we walked there, Phil showed us the places where his family had been buried in the sand dunes. These burial grounds would have been flattened if the development went ahead. The dinosaur footprints of all different sizes stood out on the backdrop of rich red cliffs and deep blue sky. Can you spot a footprint of the dinosaur? We also took a tour of the Threatened Ecological Community Monsoon Vine thickets with Phil Docherty. 80% of the flora species in the Thickets are used as food or medicine by Traditional Owners. This community is a rainforest type, that exists is a narrow band between sand dunes and inland vegetation. We tasted sour berries and were warned against poison berries. 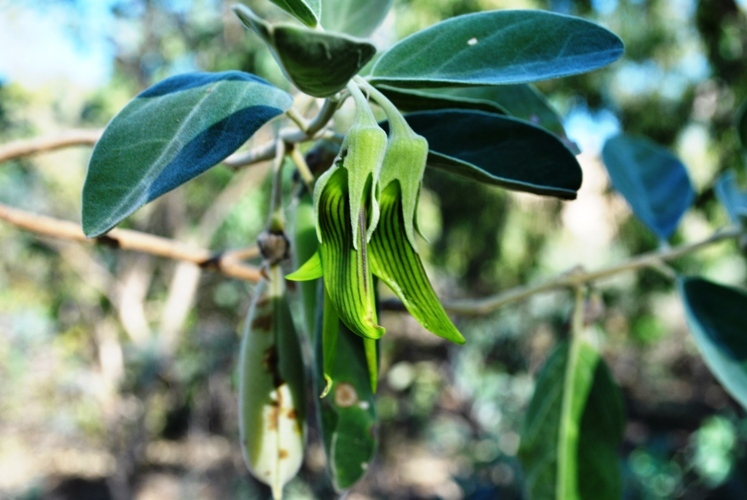 We also tasted the flowers of the Minh minh (Crotalaria cunninghamii) which was like a sugar snap pea! The week of travel challenged my perspectives and was quite emotional to hear the strength and modesty of the Traditional Owners. I was exposed to a drop in the ocean of Traditional knowledge across our great country. This trip has renewed my “liyan” to stand up for the natural places we love, not just conserve flora and fauna for the future, but to ensure that the oldest living culture in the world to remains connected to their home. Show your support for the Kimberley on Facebook and join our Fundraiser for Micklo of 7th September in Perth! Be Awarded, Be Connected – Student Prize Winners. Murdoch Branches Out – 2016 Excursion to York WA.